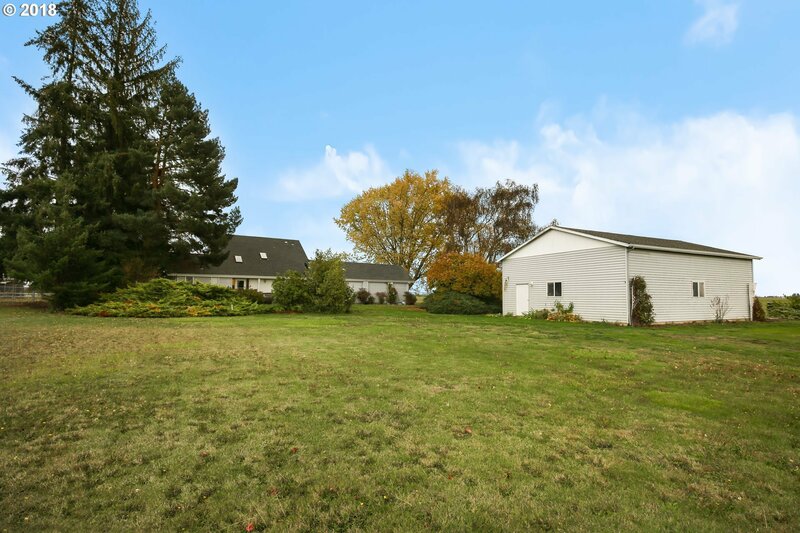 Wonderful 2 Acres Property with Views of Both Sunrises and Sunsets. Great Separation of Space. Master Suite on the Main Level. Living Room has Great View Windows and Dining Area. Slider to Back Deck. Bonus Room. Indoor Laundry and Guest Bath. Upstairs 2 Bdrms and Hallway Bath. Upgrades incl. Windows and Slider, Roof, Heat Pump, Sump Pump, Plumbing Pipes. Fantastic Detached 30x40 Shop w/Slab Floor. Attached 2-Car Garage. Listing courtesy of Help-U-Sell Select Real Estate. Selling Office: Keller Williams /Eugene-Spfld.